The famous stylist Guillermo Mariotto creative soul of the Gattinoni maison aims to Hollywood after the successes of the Italian High Fashion. He is determined to conquest the American television after being famous in an Italian cult program “Dancing with the star’’. The polyhedric stylist, artist and tv guest was selected to dress up the new five protagonists of “Beautiful” the most famous soap opera enchanting millions of followers for more than thirty years. He was chosen by an American famous production amongst many international designers. He is really proud for this success and he is really enthusiastic about the idea of showing the beauty of the Made in Italy in front of such massive international public. He wants to bring the high tailoring and the Italian well done in Los Angeles, city of the stars. Guillermo Mariotto will dress up Brooke Logan interpreted by the famous actress Katherine Kelly Lang, Heather Tom interpreting Katie Lang, Linsey Godfrey aka Caroline Spencer, Kim Matula interpreting Hope Logan and Karla Mosley aka Maya Avant. Miss Seychelles was relaunched in 2012 after 4 year’s absence from the Seychelles’ events calendar, the Seychelles Tourism Board was proud to be host the 2nd edition of the Miss Seychelles... another world Beauty Pageant on Saturday 25th May 2013. The aim was to highlight the high standards of feminine beauty and elegance to be found among our islands.We aim to continue in our drive to refine and redefine this event and will be seeking to raise its profile to a point where it becomes one of the most anticipated annual events - one combining elegance, flair and sophistication as an attractive backdrop for the selection of our local beauty queen, even with the help of specialists in communication, such as Cristiano de Masi and Alessandro Pindilli. Not only the most important Red Carpet, such as the one for the film "Hunger Games" with the Academy Award winner Jennifer Lawrence, or that one of the Coen brothers for "Inside Llewyn Davis" .. but also the most popular and exclusive party, as the one for the Great Gatsby, The Weinstein Company and Chopard, Vanity Fair and many others, have illuminated the night of the Cannes Film Festival 2013, and confirmed the designer of the French fashion House of the Tsars IRFE, Olga Sorokina, as one of the stars most photographed of the international parterre. The 85th edition of the Academy Awards ceremony was held at the Dolby Theatre in Los Angeles February 24, 2013. Leading the evening was for the first time the comedian Seth MacFarlane. As every year the spotlight is not only on film, but also on the party who throng the most important week of the year ... From the Party of Elthon John, that of the international photographer Mauro Testino, one of QVC, the Spirits Awards and many others. Olga Sorokina, renowned French designer of the House is a guest IRFE appreciated by all the hosts, who always want she goes to their events. The Seychelles 2013 ‘Carnaval International de Victoria’ is set to become a unique event where different countries of the world are invited to showcase themselves their culture, their achievements, their position on the world stage, their trading potential, etc - through fun and animated carnival floats parading through the streets of Victoria, the world’s smallest capital that has opened itself to host this event ‘the melting pot of cultures’. The 2012 edition was held from 8 to 10 February and Cristiano de Masi, with the support of Alexander Pindilli, represented Italy. A costume designer of the cinemas has specially made clothes for the parade, the theme were the pirates! French actress Laura Weissbecker is the "new entry" of the Creative Ideas, the actress, already defined by the French press as the new "Grace Kelly", starred in this year's edition of the Cannes Festival thanks to the world premiere of "CZ 12". The film, exclusively screened for the Festival, will open in theaters worldwide 12/12/2012, starring Laura a well as Jackie Chan, Xingtong Yao Xin and Zhang Nan. Jaeger-LeCoultre has once again consolidated its BOND with the International Film festival and Emergency, in order to raise public awareness. In this occasion a gala dinner was organized during this 69th Venice International Film Festival, in the enchanting lido di Venezia. Hosts of the dinner have been chef Filippo La Mantia and Davide Oldani, at the event called "A Rose for Emergency: Jaeger-leCoultre supports the Center for Maternity Anabah - Afghanistan". Godmother of the evening was Cristina capotondi, since years the embassador of the Swiss watch manufacturer brand. Among the International guest of the evening, designer of the French Maison IRFE, Olga Sorokina. She walked the red carpet wearing a rose and the watch (a one of a kind vintage watch, encrusted with diamods) symbol of this operation, which will then be auctioned by Christie's and the proceeds will be donated to Emergency, further contributing to the financing of the Centre. New entry...! 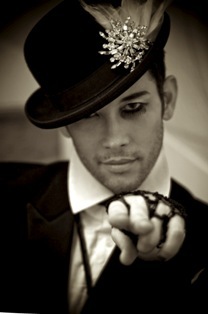 Dancer, choreographer, actor, singer, director and model, Kevin Alexander Stea is best known as the choreographer and head dancer of the Blond Ambition Tour Madonna, which was featured in the documentary, "In Bed with Madonna" of 1990. Subsequently, Stea has worked with Michael Jackson, and has continued to work with numerous artists such as Prince, Ricky Martin, Janet Jackson, George Michael, David Bowie, Celine Dion, Macy Gray, Anastacia, Rihanna, Lady Gaga, Beyonce, Britney Spears , Cher, Christina Aguilera, Tony Bennett, Will.i.am and the Pussycat Dolls. June 8 to 12th 2012: Convivio is back, the initiative that allows everyone to support AIDS research (ANLAIDS Lombardy-National Association for the Fight against AIDS) and populations in Emilia, Italy, who were tragically hit by recent earthquakes. Convivio is a trade show born in 1992 from an idea of Gianni Versace, Gianfranco Ferre, Giorgio Armani and Valentino, and pursued with enthusiasm since 1998 by Franca Sozzani, editor of Vogue. This year's Convivio was hosted as usual in the halls of Fieramilanocity, Milan, and it's one of the best occasions to buy great fashion at discounted prices. Among the star of this year also the designer of the French Maison IRFE Olga Sorokina and her friend as well as a welcomed guest, French actress Laura Weissbecker. Laura is the revelation of the Festival, considered the new Grace Kelly of the silver screen. 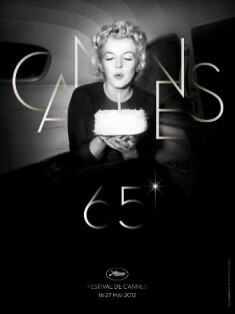 The 65th edition of the Cannes Film Festival, just ended, awarding the Golden Palm to Michael Haneke with the film "Amour". This edition, dedicated to Marilyn Monroe, was characterized by numerous events and parties occurring during the days of the festival. From the Armani charity for Haiti, exclusively hosted by Sean Penn, to the Mystere Chopard party, to the party hosted by Gucci; the latter in honor of Robert de Niro, for the restyling of Sergio Leone's film "Once Upon a Time in America. Also the party of Greygoose, and the one organized by Vanity Fair were enchanting. French actress Laura Weissbecker, already defined by the French the press as new "Grace Kelly", starred in this year's edition of the Festival thanks to the world premiere of "CZ 12". The film, exclusively screened for the Festival, will open in theaters worldwide 12/12/2012, starring Laura a well as Jackie Chan, Xingtong Yao Xin and Zhang Nan. The French actress wore the creations of her friend and designer Olga Sorokina, Maison Irfe' Paris, the perfect choice to make a memorable time of the premiere. 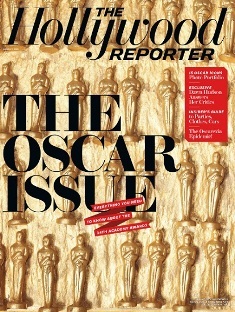 Academy Awards are not just a grand night often determining the destiny of actors - think about the French film "The Artist", multiple Awards winner and attention grabbing; they are an intense social activity. The parties taking place before and on the night of the Academy Awards channel Hollywoods biggest personalities and an array of celebrities and VIPs. The 69th Golden Globes Awards took place on Sunday, January 15th 2012, at the Beverly Hilton Hotel, live feed from NBC. 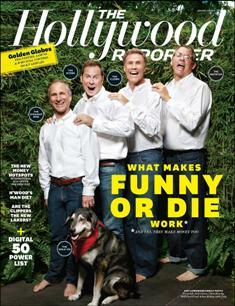 It is one of the biggest Hollywood night, attended by stars, celebrities and every “player” in the film industry. Another fashion showcase on the Red Carpet no less than the Academy Awards'. Olga Sorokina, considered by many the new International Fashion Princess, was in Hollywood for the first time. With her classy elegance and sophisticated style she rapidly conquered the star system. The new edition of "Ballando Con Le Stelle (Dancing With The Stars)" started this Saturday on Italian national television channel RAI 1, hosted by Milly Carlucci with Paolo Belli and his orchestra. The weekly publication OGGI presents the exclusive presentation of the new edition cast of "Ballando Con Le Stelle" (tv show on RAI 1 hosted by Milly Carlucci with Paolo Belli and his orchestra). Among the stars of this eight edition we find Ariadna Romero, cuban model and actress, Leonardo Pieraccioni's last muse, leading character of his film "Finalmente La Felicità". For the photo shoot featured on OGGI she wears one the creations of IRFE Paris brand designed by Olga Sorokina. Ariadna Romero is a Cuban 25 year-old model, best known in Italy for being a dancer in TV show "Quelli che il calcio" and the advertisements of Sammontana and Vecchia Romagna. She lives in Italy since three years. She was chosen by Leonardo Pieraccioni to be his new muse in his latest movie out in theatres December 16. In her debut on the silver screen, Adriadna will be a model in transit in Italy who accepts to take part of major TV show "C'e' Posta Per Te" in order to find her step brother, who knows nothing about her. The movie features, also on his first film appearance,Thyago Alves, the handsome star of TV show "L'isola Dei Famosi", who will play the jealous ex-boyfriend of the model. 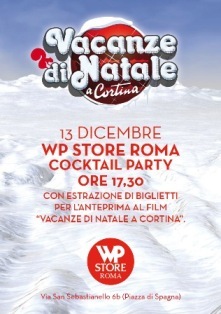 Cocktail for the presentation of the Christmas film "Natale a Cortina"
On tuesday december 13th 2011, Woolrich hosted in its WP Store in via San Sebastianello 6B,Rome, Piazza di Spagna, the cocktail for the presentation of the Christmas film "Natale a Cortina". During the cockatil party VIP tickets were exceptionally drawn among the public in the store. The 2011 MTV EMAs (also known as the MTV Europe Music Awards) were held in Northern Ireland's capital Belfast, on Sunday, November 6, 2011. Artists were placed in 3 different locations: the Odyssey Arena in the Titanic Quarter, where the awards took place, hosted by Selena Gomez, the Belfast City Hall, where Snow Patrol and Jason Derulo played, and the Ulster Hall, where the Red Hot Chili Peppers performed. It emerged that international pop is ruled today by women and teenagers. Katy Perry, Lady GaGa, Justin Bieber and Selena Gomez dominated the scene. The only fashion designer present was Olga Sorokina, art director of the Czar's french maison IRFE Paris. She walked on the red carpet with the international male model Anthony Key and then attended the super exclusive party held in Europe Hotel. On october 17, at Crosby Hotel in New York, Creative Ideas and its american partners Italians in Film and JMP Verdant Communication cooperated in the presentation of John Turturro's film "Passione". Many celebrities attended this super exclusive event. Among others the Awarded Frances McDormand, the Cohen brothers, as well as many Academy members and international journalists. Also the Ciampa brothers, promoters of international events in New York were there. Check out our latest works all over the world! La Prova del Cuoco MARCATO works again with the well-known television show "La Prova del Cuoco". Marcato is the first and best known Italian company in pasta-machines production, perfect for professional and home use. Since Semptember 2011 the pasta machine Atlas 150 Wellness is used in the TV show "La Prova del Cuoco" broadcasted from Monday to Saturday on RAI 1. Participants will personally try the convenience of this innovative machine for delicious homemade fresh pasta, and will enjoy it's unique and modern design and high quality manufacture. If you want to be successful and bring out your brand ... we are ready to help you!